Plug-N-Play - Share four computers using a keyboard, mouse and VGA monitor (2048x1536). Cables included. 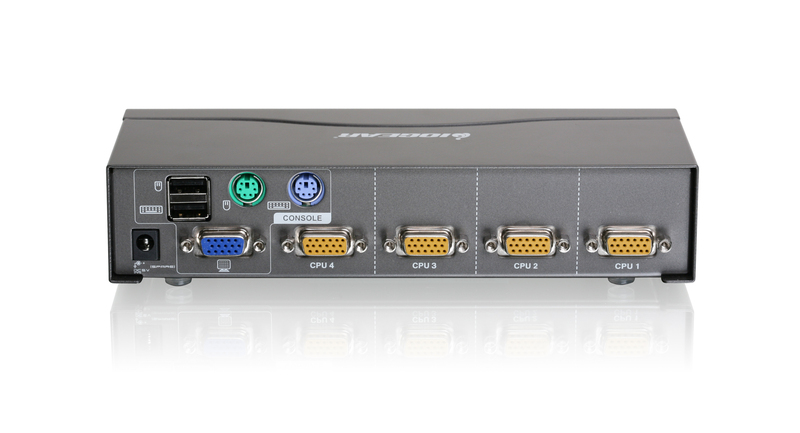 IOGEAR's 4-Port VGA KVMP Switch allows full control and switching between your four computers from a USB or PS/2 keyboard, mouse, and VGA monitor. 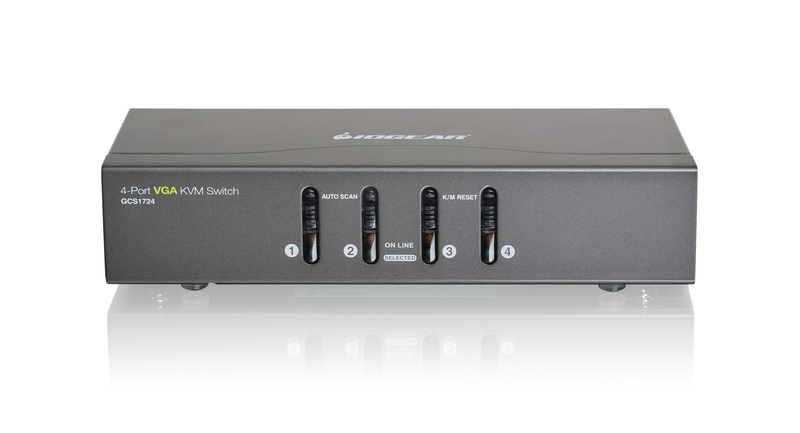 This 4-Port switch supports up to 2048x1536 video resolution, perfect for home or small/medium office environment. 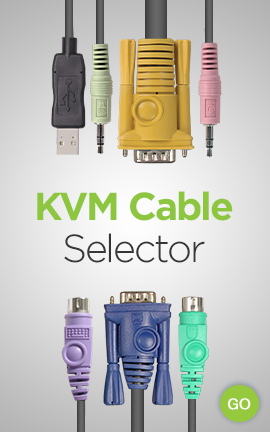 With a built-in USB 2.0 hub, EDID support, and complete keyboard and mouse emulation, this VGA KVMP switch easily centralizes your system while expanding your connectivity. True Plug-N-Play, simply connect the included cables into their appropriate ports without any software to configure or install. Easily switch between your two computers via push button, hotkey combination, or mouse*. Expand your peripherals sharing such as hard drive and printer/scanner from the integrated USB 2.0 ports. Daisy chain a powered USB hub for a more expanded peripheral connectivity workstation. In addition, IOGEAR's DynaSync™** provides EDID support; this feature reads and remembers the monitor's optimal display parameters and refresh rate, eliminating delay when switching between computers. 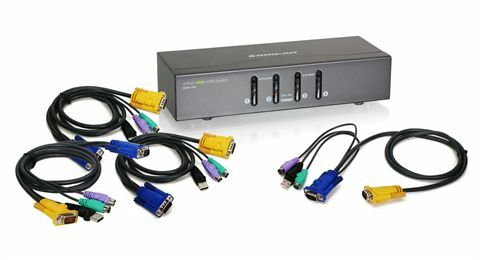 This VGA KVM switch also offers a cost effective solution to increase security by allowing users to switch between the Internet connected PC and an Intranet connected PC. With the included cables and adapters, IOGEAR's 4-Port USB VGA KVMP Switch is a true out-of-the-box Plug-N-Play solution to your connectivity needs!